If you need a reason to indulge in ice cream, here it is: July is National Ice Cream Month. It has been, since 1984, when President Ronald Reagan signed a proclamation. Other flavors of summer celebrated this month as well, are baked beans, hot dogs and blueberries. My favorite ice cream memory is a generous bowl of pistachio gelato my husband and I shared at the ancient town square in Taormina, Sicily, atop a mountain overlooking the Mediterranean, on a summer Sunday. Children played soccer nearby. Families strolled home from church. I savored the crunch of chopped nuts in every bite of that creamy green confection, served in a frosty, stemmed goblet. Roman Emperor Nero Claudius Caesar (D. 54-86) is said to have frequently sent runners into the mountains for snow, which was then flavored with fruits and juices, according to the International Dairy Foods Association. Over a thousand years later, Marco Polo returned to Italy from the Far East with a recipe that closely resembled what we call sorbet. 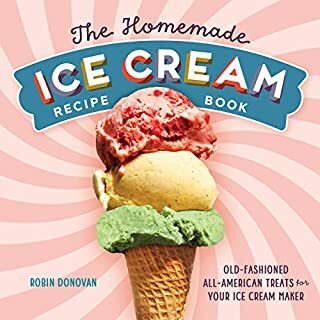 It wasn’t until the 1800s, though, the invention of insulated ice houses and other commercial equipment made it possible for ice cream to be widely enjoyed around the world. Vanilla is the popular flavor, according to a survey conducted last year by the International Dairy Foods Association. The next four most popular flavors, were chocolate, cookies ’n cream, mint chocolate chip and chocolate chip cookie dough. 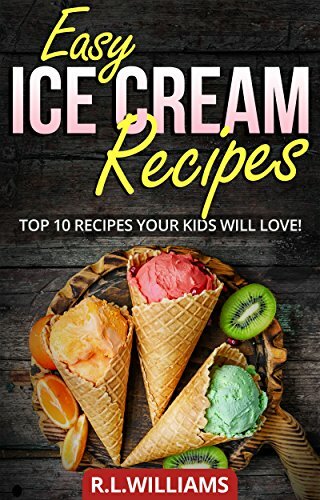 There are plenty of family friendly ways to churn a batch of ice cream at home, ranging from hand crank freezers to electric freezers that create ice cream in about 30 minutes. Marilyn will return later this month with PART 2 of the history of ICE CREAM. Come January, when rich holiday treats are but a sweet memory, I take comfort in baking runzas, one of the hearty, yet simple foods, of my European heritage. Runzas are pockets of bread dough stuffed with a savory mixture of ground beef, onions and cabbage. The scent of bread dough rising and the hash simmering on the stove, the flavors melding, put me in mind of Grandma cooking in her kitchen. Runzas are thought to have originated in Russia in the early 1800s and spread to Germany. Handheld and portable, they are similar to Italian stromboli, Greek pirouskia and Indian samosas. German Immigrants brought the runza recipe with them to the United States, but the sandwiches aren’t well known outside of Nebraska, where the Runza Hut chain has most of its restaurants. The recipe I reach for on Saturday afternoons in winter is from a cookbook published in 1976 by the Federated Woman’s Club in my hometown, Bellevue, NE. * Use prepared bread dough instead, if you prefer. Two loaves should be enough. Add egg and butter. Stir in flour. Put dough in a covered bowl, greased with vegetable oil, and let it rise in a warm place until it doubles in bulk, about an hour. While the dough is rising, brown ground beef, and onion. Drain grease. Add cabbage, seasonings, and water. Simmer 15 minutes and cool. Punch down the dough and roll it out in an oblong about 1/4 inch thick. Cut into 16 squares. Spoon a few tablespoons of the meat mixture in the middle of each square of dough. Pull the four corners of the dough up over the meat mixture and press the edges together. (Some cooks favor a round bun; others, an oblong.) Place the filled buns on a greased cookie sheet. Bake for 20 minutes at 350 degrees.